Perhaps you live too far away to visit, can’t wait until spring when we reopen the main rooms after their winter ‘rest’, or you want to take another look and make sure you haven’t missed any details when you were here. This series of room tours is our first foray into virtual reality, so we are very excited about sharing these immersive experiences with you. The virtual tours were created by a high quality reality-capture camera collecting accurate visual data to map each room. 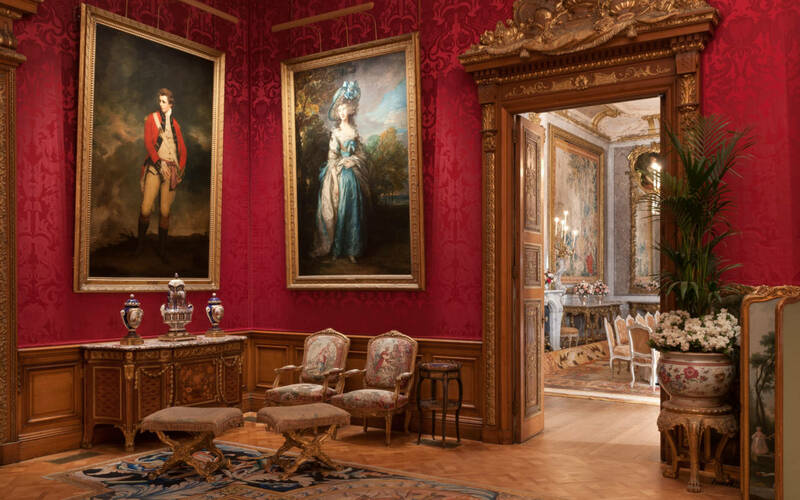 For starters, you can explore the Red Drawing Room and get up close to portraits by Reynolds and Gainsborough, zoom in to see the ceiling painting of Hercules and even check out the view onto the Parterre. 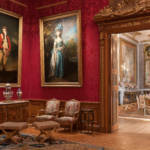 You can also ‘walk’ through the Green Boudoir, Tower Drawing Room, Small Library and the Bachelors’ Wing, rooms that aren’t always open or only seen from the doorway, due to the fragility of their collections. 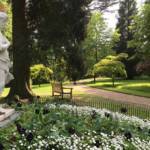 You feel as if you’re really here at Waddesdon. 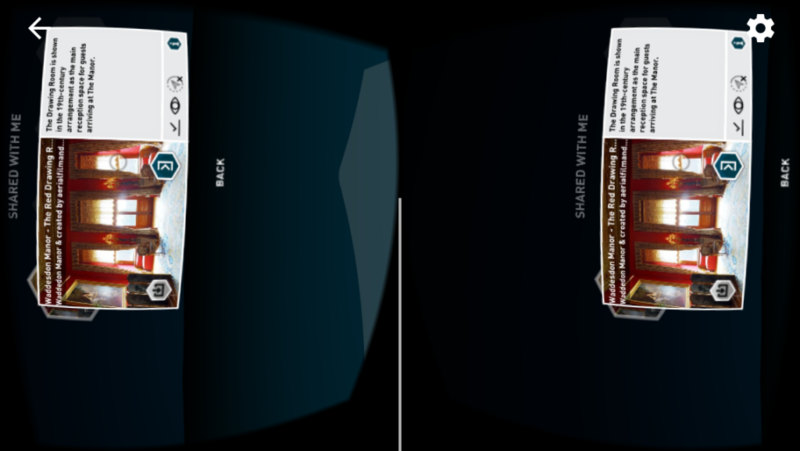 For those of you new to VR, here’s how to do it… (at the moment this is only available on Apple devices with an iOS operating system). 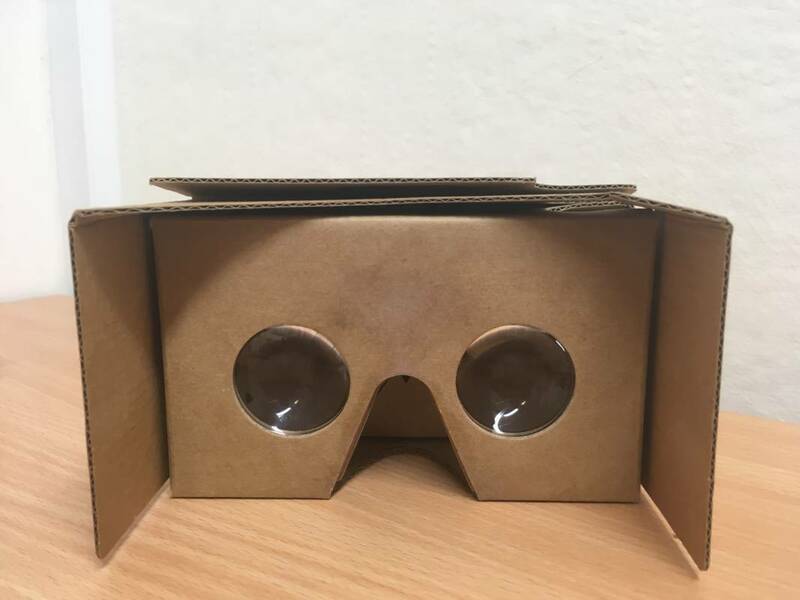 Place your phone into your Google Cardboard (or VR viewer). By moving your head, direct the circular cursor into the middle of hexagon on the right – after a moment it will turn yellow and you will be able to ‘walk’ into The Red Drawing Room. Navigate through the room by simply turning your head, or physically moving your body and walking around. 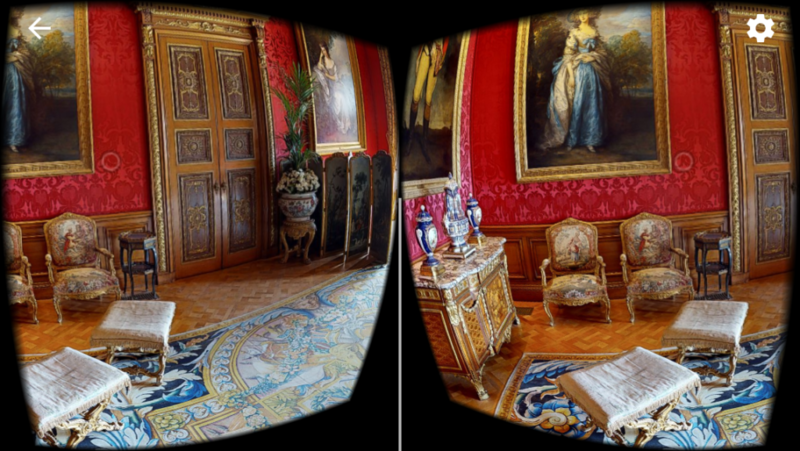 Through your VR headset it will seem as though you are standing on the Savonnerie carpet in the middle of the room. And you’ve got it all to yourself! Today’s immersive technologies have some striking similarities to the early work with stereoscopic photography pioneered a century ago. Wealthy Edwardians were keenly interested in the art of colour photography, patented by the French Lumière brothers in 1903 and marketed in 1907, and in the potential of early 3D images. The Rothschilds were no exception – Lionel Rothschild was a keen amateur photographer who experimented around the turn of the century with an early colour technique called autochrome, which used potato starch as a medium. 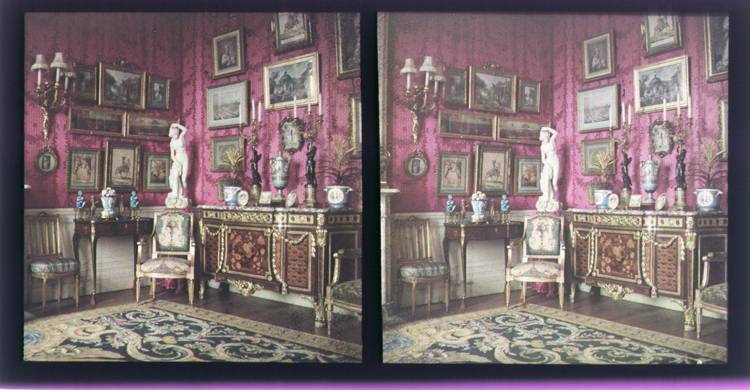 Around 1910, an unknown photographer recorded the grounds and some interiors at the Manor in around 90 stereoscopic images. Looked at using a special viewer, the two near-identical images were merged to create the illusion of depth and distance for audiences a century ago.